***Grey Gardens directed by Robyne Parrish for Front Porch Theatricals named best top three productions in 2018 by the Pittsburgh Post Gazette. The musical also garnered a Best Actor award from Broadway World and was nominated for Best Musical. ***Still Birth. written by Parrish and Campany and Directed by Parrish was nominated for Best Play in the New York Theatre Festival Summerfest 2017. ***It's a Wonderful Life at The Gilbert Theatre NC, Directed by Parrish, won Best Show and Best Director in the 2016 Pryer Awards. "But the true superstars of the night must go to the Director Ms. Robyne Parrish and the choreographer Mr. Gavan Pamer, both of whom are also featured as actors in the cast. Under Ms. Parrish's direction, all five acts came together as one seamless unison of satirical comedy..."
Pittsburgh Radio WRCT: "...phenomenal acting..."
Pittsburgh City-Paper: "...glamour and pathos..."
“Director Robyne Parrish must have loved this project, given the vigor of her script and cast.”, Pittsburgh City Paper, Looking For The Pony at Off The Wall Theatre in PA.
"Director Robyne Parrish manages the stepsister performances with a deft hand" - Pittsburgh Post Gazette, Looking For The Pony at Off The Wall Theatre in PA.
"Stop Kiss - Director Robyne Parrish uses a Brechtian technique to define time jumps. In the present, the actors face the audience instead of facing each other. It’s a little disconcerting but pays off with emotional resonance later in the play." Pittsburgh City Paper " ...a warm human romance with several twists..."
Washington Observer-Reporter "... love, compassion..."
Gordon Spencer on WRCT '... thought-provoking, emotionally-laden..."
"Director Robyne Parrish opens the play with a stylized and highly choreographed dance that sets the tone for the madness that’s to follow in the next ninety minutes." “Another aspect of the show is the dialects. The Barrie family were born and raised in Scottland, and so Scottish accents were needed for almost every actor in the show, including the youngest. 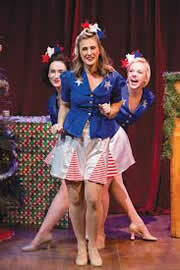 Robyne Parrish, the dialect coach and artistic director of the Gilbert Theater, should be applauded for her work. "Director Robyne Parrish has worked hard at the comic timing and moves the play at a pleasantly rapid pace." Robyne Parrish An Actor/Director, currently residing in NYC. Parrish spent five seasons as Artistic Director of the Gilbert Theatre in NC before returning to Pittsburgh for two seasons. Recent credits include: Grey Gardens and Violet at Front Porch Theatricals. The Carols and 4.48 Psychosis at Off the Wall in Carnegie. 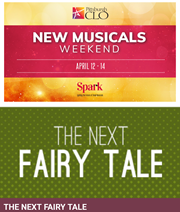 Also at Off the Wall: The Musical of Musicals the Musical, Stop Kiss, The Zero Hour, The Mercy Seat, House of Yes, Looking for the Pony and Shaken and Stirred. Last September, Parrish directed her new play, Still, Birth. co-written with NYC Labyrinth Theatre Ensemble collaborator, Coley Campany, for the New York Theatre Festival where it was nominated for Best Play/Best Actress. Favorite directing credits include...Gamma Rays..., The Diary of Anne Frank, The Fantasticks, Much Ado About Nothing, A Christmas Carol, It's a Wonderful Life, Fences and Quilters. 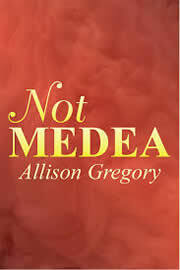 BFA in Drama from the University of North Carolina School of the Arts and was an MFA Graduate candidate in Theatre and Pedagogy at Point Park University. Parrish spent years living and working in NYC, where she was Founding Artistic Director/Executive Director for six years of Sonnet Repertory Theatre Inc. (now in its 15th season) and assistant/intern to the Company Manager of WICKED on Broadway. Parrish worked off-Broadway as an actress (The York, The Mint, Musicals Tonight!) and directed a number of plays for various festivals, off- (and off-off) Broadway, (Musicals Tonight!, NYICF, NY Artists Unlimited, Sonnet Rep, Sande Shurin and the 79th Street Workshop/Incite Productions). In Pittsburgh, Parrish has worked as actor at City Theatre, the CLO, Quantum, Bricolage, PMT and The REP, to name a few, as well as extensive commercial/film. She performs regionally across the country. A theatre educator for more than 15 years directing and teaching students from grade school through the collegiate level, she is currently Adjunct Theatre Professor at FTCC in Acting/Voice. Labyrinth Intensive Ensemble member, trains with Double Edge Theatre and Cotter Smith. Actors Equity and SAG-AFTRA. More at www.robyneparrish.com. 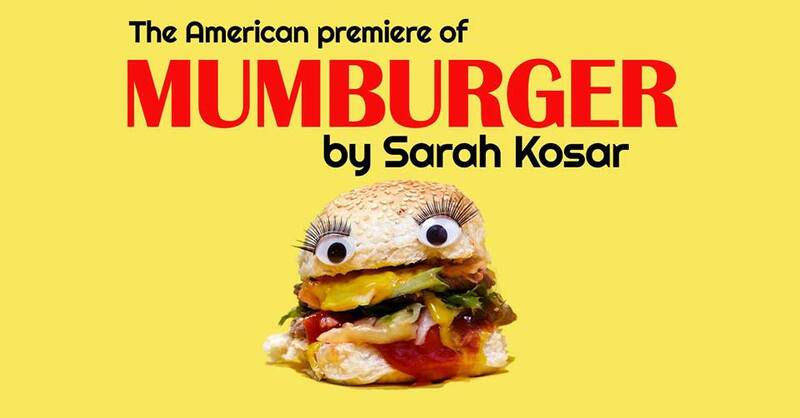 Next up: Steel Magnolias at The Great American Melodrama, Mumburger at Off the Wall (US premiere - Sarah Kosar) and The Seagull at Seton Hill University - 2019. She is a proud member of Actors Equity and SAG-AFTRA. Looking For The Pony - Interview from Off The Wall - Pittsburgh on Vimeo. Shaken & Stirred 2011 - PFD from Off The Wall - Pittsburgh on Vimeo. Off the Wall Promo from Off The Wall - Pittsburgh on Vimeo.